"WE WILL CARRY THE LESSONS AND STORIES WITH US FOR THE REST OF OUR LIVES – BACK TO OUR TEAMS, FAMILIES, COMMUNITIES AND CAREERS. OUR STUDENT-ATHLETES ARE EQUIPPED TO HAVE A POWERFUL IMPACT ON A LARGER COMMUNITY AS A RESULT OF THEIR PARTICIPATION IN THE INAUGURAL LEADERSHIP ACADEMY AND THE OUTWARD BOUND EXPERIENCE." This Minneapolis woman who ran the Medtronic TC 10 mile marathon, with an IV bag, joking "everyone has baggage." Gear Head's Rejoice! VOBS is this year's lucky recipient of REI's Used Gear Swap proceeds! Our Better Nature podcast on how the great outdoors can improve your life! Celebrating the 90th birthday of Jean Replinger this coming Saturday - We owe Jean a GREAT deal of gratitude as she made the first all-female Outward Bound course in the United States a reality, in 1965! If you haven't already, check out the Women Outward Bound documentary to learn more about Jean's all-female course. Check out all upcoming VOBS courses here! 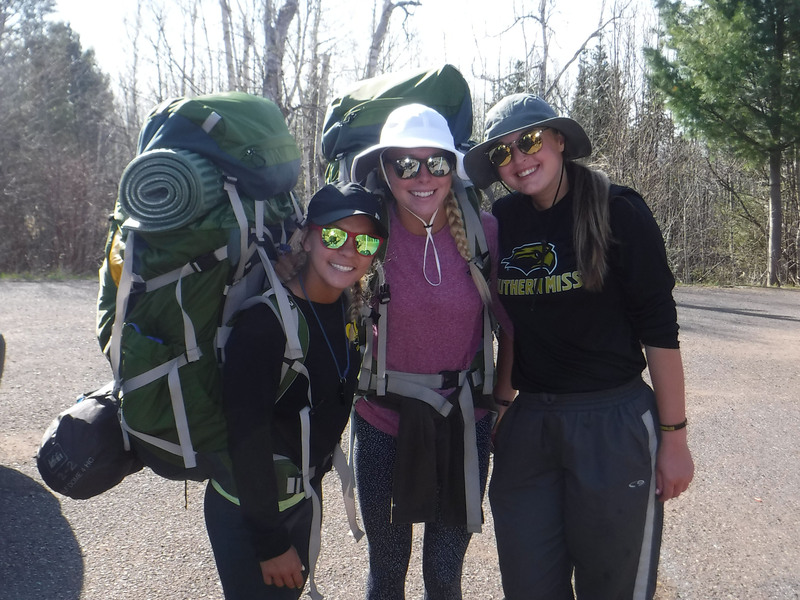 What does it mean to be "Outward Bound" at St. Norbert College? "It's a common misconception that the blue peter is flown from ships on their way out to sea. Most think that it indicates a vessel headed away from harbor. But the flag is actually a signal hoisted in port to notify the crew to return to the ship and prepare for an imminent departure. It tells the sailors to ready themselves for the journey ahead." Thanks to our wonderful alumni for their dedication to VOBS and the work we do, their contributions during service week (replacing screens, painting doors, building bunks... the list goes on) and for bringing their talents and gifts to our community! Looking forward to next years' service week! The Fellowship Initiative (TFI) is an innovative, multi-year character and leadership program that serves young men of color in Chicago, New York, Los Angeles and Dallas. Thanks to JP Morgan Chase, Outward Bound serves the men of TFI with wilderness leadership expeditions each summer. This year, Voyageur took Chicago TFI students out for a Superior Hiking Trail Backpacking course. Click here for the full story.